Want to have a terrific and sunny holiday? Gran Canaria is the perfect island for you! Gran Canaria, such a beautiful island with so many great places to go and see. But you only have a limited time to explore the island? 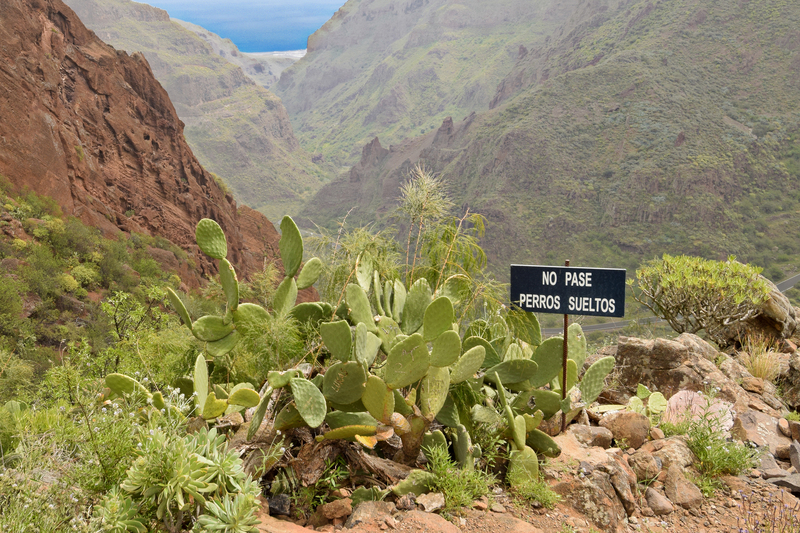 Because of these top 10 places you´ll never want to leave Gran Canaria! Transport yourself to the most magical place you could think of. If you want to experience the sensation of reaching up to the clouds and touching the sky, you only have to climb the winding track which takes you from the sunny coast to the summit of Gran Canaria. 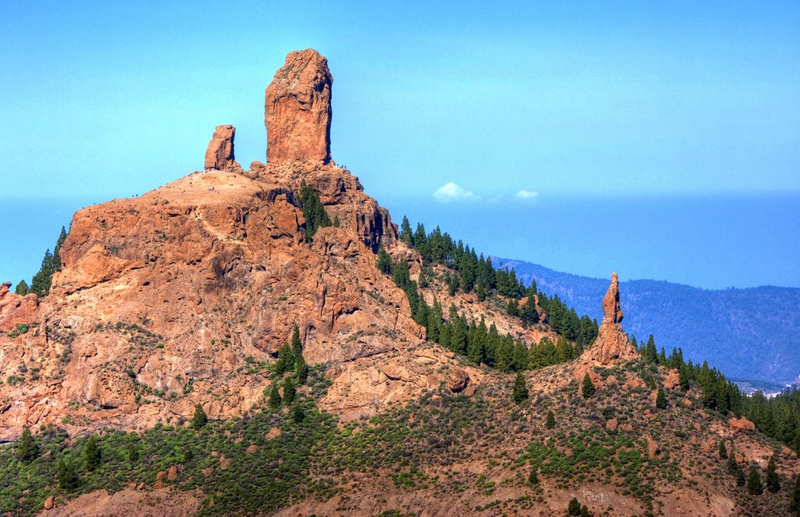 Roque Nublo is one of the most important and beautiful attractions of Gran Canaria. It takes the form of a basalt monolith, 80 metres tall and it peaks at an altitude of 1813 metres. In ancient times, Roque Nublo was used as a place of worship by the Guanches, at that time the only inhabitants of the island. Roque Nublo and since 1987 by the creation of a nature zone and then in 1994 by country park. The climb may seem a little difficult, but and the feeling of being on the top of the world. Climb to the highest point on Gran Canaria. If you are looking for a little corner of paradise for lovers of the beach and family holidays, Maspalomas is the place for you! Among the famous beach resorts of Gran Canaria: Águila, Las Burras, San Agustín and Playa del Inglés, you will find a strip of 2000 hectares, 17 kms of superb coastline, with dunes, long sandy beaches, calm waters and excellent weather all year round. You can only cross the dunes on foot or on the back of a camel, which will make you think you are in a different part of the world. The dunes are also the habitat of many species of rare plants, some of them only found in the Canaries. West of this natural reserve, you will find El Oasis, where there is an attraction you should not miss: The Faro of Maspalomas, a lighthouse built in 1886, which stands 65 metres high and which dominates the area. 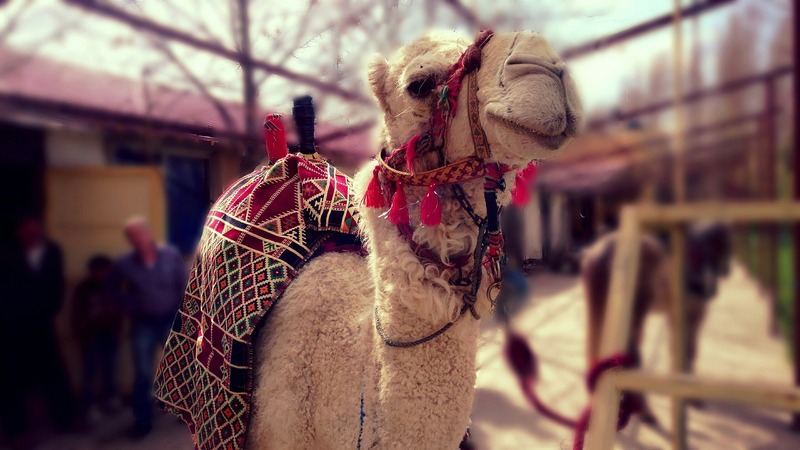 Make a fun and crazy ride on a camel! 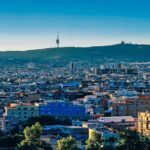 It is one of the oldest neighbourhoods of Las Palmas and is well worth a visit. The narrow streets of La Vegueta will transport you back to the Middle Ages, because they have been in existence for over 500 years! All kinds of people have passed through them, from pirates to the builders of the Cathedral. Since the time of Christopher Columbus up to the present day there has been a deeply rooted tradition that you should stop at least once in the historic town of La Vegueta. Here you will find the oldest and most important sites of the town of Las Palmas. Don’t forget your camera, and you will be able to take some magnificent photos of the famous Cathedral of Santa Ana, the Episcopal Palace and the Town Hall.The Cathedral Square, (the Plaza de Santa Ana) is a charming square where you will find some beautiful buildings and 8 famous bronze statues of dogs. Come and discover this natural jewel: the Ravine of Guayadeque. It is one of the most magnificent valleys of the island of Gran Canaria. Discover more than 80 different species of plants and trees that grow here in abundance, such as cacti, agaves, poppies, palms, Canaries pines, almond trees and many others. This valley, which was the most heavily populated in prehistoric times, is the site of the most important prehistoric cemeteries, where the dead were interred in inaccessible caves. If you like walking and hiking, this will be paradise for you! There is so much to explore ….. On your way you will come across the Museum of Guayadeque, which you can visit. But the walk continues beyond that. You can enjoy this wonderful landscape as you pass through 2 cave-dwelling villages where modern man has settled, following in the footsteps of the Guanches with little chapels, a bar and a famous cave restaurant where your meal will be accompanied by local wine and traditional folk music. 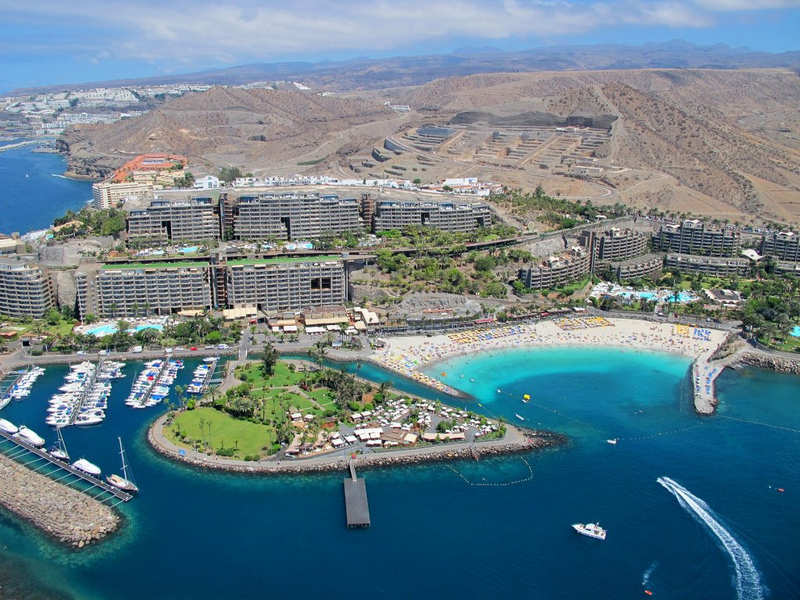 Puerto Rico, situated on the south coast of the island, is one of the most popular family resorts of Gran Canaria. Previously, it was no more than a small fishing port, but today it has become a very pleasant beach resort, with restaurants, shops, an attractive promenade, plenty of sun and wonderful natural scenery. You will love the wonderful private beach, with its golden sand and its calm, clear waters, right in front of the main promenade! It is the perfect place to sunbathe as it is one of the sunniest places on the island. And, in addition, it offers an incredible choice of water sports. 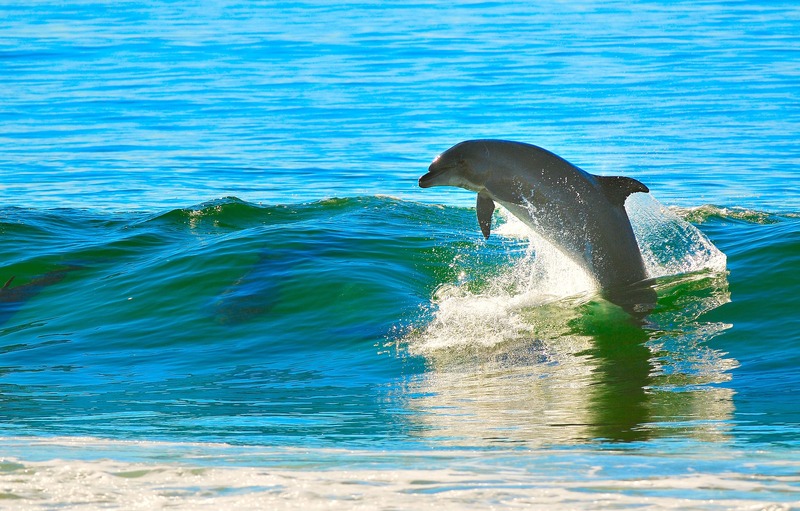 There are numerous species of dolphins and whales living in the underwater world around the island of Gran Canaria. Take the opportunity to watch them during your holiday! From the Puerto Rico harbour, you can take a number of excursions by boat, but we particularly recommend the dolphin-watching one. You will marvel at the sight of these wonderful marine animals. At Playa del Inglés you can enjoy the beach by day and the pubs and discos by night. It is the biggest holiday complex in the whole of Spain! Along with Maspalomas and San Agustín, Playa del Inglés is a “fun and sun” resort, with superb buildings, commercial centres and fast food. Since the 60’s it has become a tourist hyper centre, famous throughout Europe. If you want to party, you should definitely spend an evening at Playa del Inglés. You will find the best night-life atmosphere in the popular districts of Kasbah, Metro and Plaza. 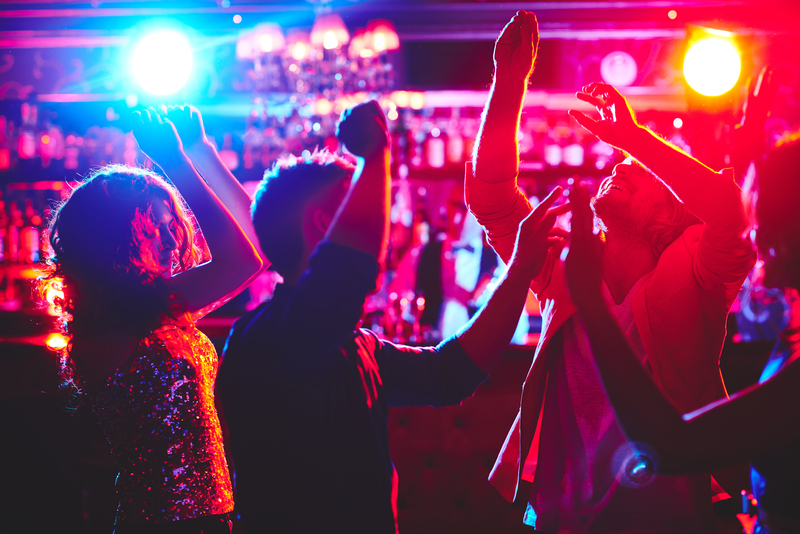 Here you will find plenty of bars, restaurants and discos where you can party the night away! The fascinating history of the former inhabitants of Gran Canaria! Unlock the doors to the mysteries preserved in the Cueva Pintada Museum and Park! This is a place dedicated to the conservation, research and promotion of one of the most remarkable sites of the island of Gran Canaria. Dive into the fascinating history of the island and soak up this emotional experience. 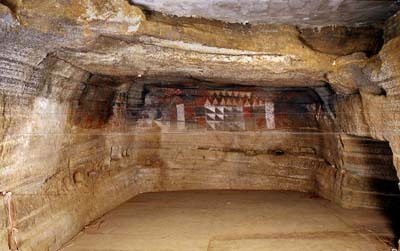 You will find murals painted more than 2000 years ago, and you can learn much more in the museum, the library and the cinema housed within the archaeological park. Note: You can take the tour with specialist guides who offer personalised excursions in four languages (Spanish, German, English and French). 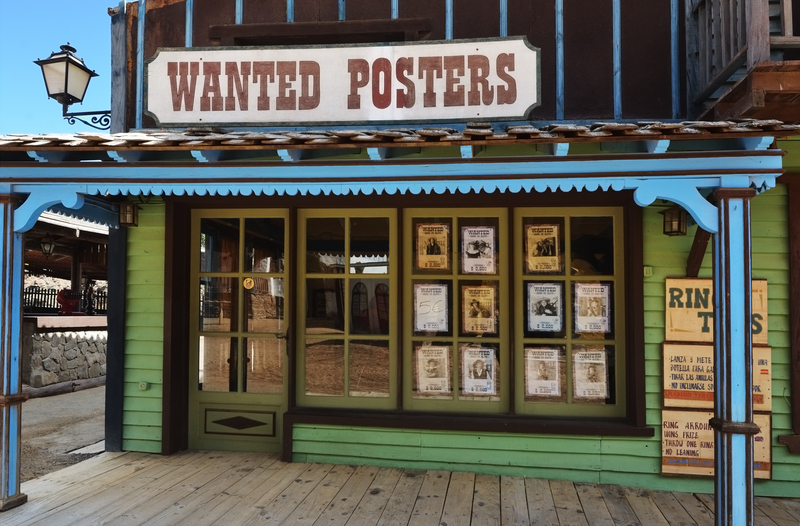 Have you ever dreamt of starring in a film like “Wild, Wild West”? Well, now is your chance to do so! In Sioux City you can go back in time and experience the Wild West! With bank hold-ups and gunfights between cowboys and lawmen, it is entertainment right out of the American Wild West, with shoot-outs, rustic barbecues, an Indian reservation, saloon girls, sheriffs and can-can dancers …. And to make it more authentic, the air is filled with country and western music. The park covers an area of 300,000 sq. metres and is an excellent replica of a Western town with typical houses, a saloon, a bank, a church and a ranch. Nor should we forget the children; there is also a zoo with adorable animals! Take a little journey into the past. 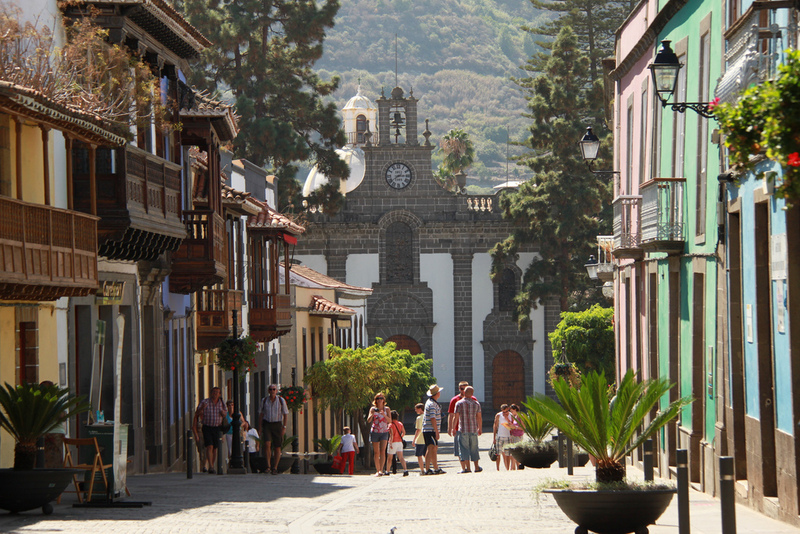 Teror is probably the prettiest village in Gran Canaria, with its splendid historical houses, some dating from the 16th century. You will note the magnificent carved balconies of stone and wood. 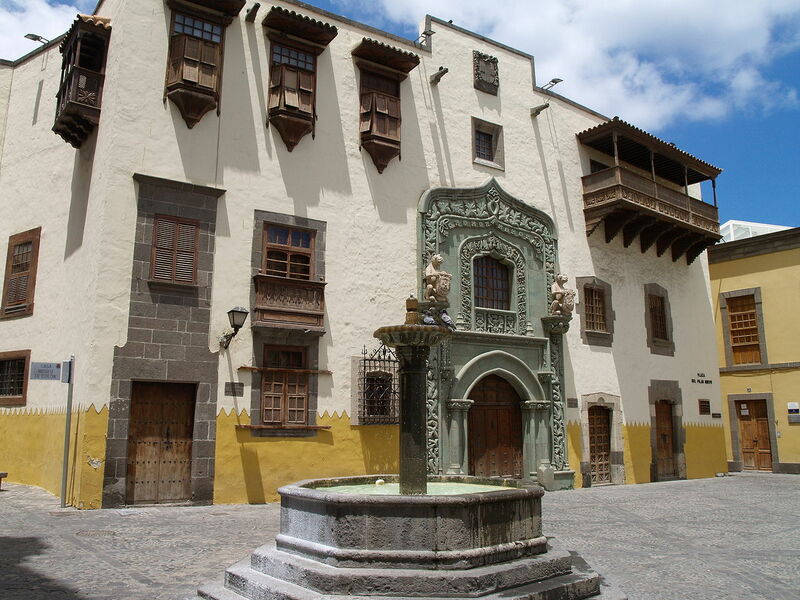 Here you will find some of the best examples of colonial architecture, but life has always centred around the “Basilica de Nuestra Señora del Pino”, which dates from the 18th century, and is dedicated to the patron saint of Gran Canaria. The Basilica contains some impressive statues, some paintings, and the famous statue of the Virgin, carved in wood and richly dressed. 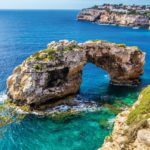 Every year on 8th September, the most important religious festival in the island’s calendar takes place, during which many pilgrims come to the island to pay homage to the saint. We recommend visiting Teror on a Sunday morning when a lively local market is held, and you can taste and buy the local specialities. This charming port is also known as the “Little Venice” of Gran Canaria. 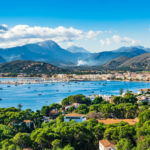 It has a network of attractive canals connected by crossings and little bridges, which make for a very relaxing stroll around the port. This fishing village is made up of buildings of no more than 3 storeys, and was developed as a pedestrian village with colourful Mediterranean-style houses. Puerto de Mogán is also ideal for excursions, especially on a Friday morning, when a large attractive market is held on the fishermen’s wharf. If you have children with you, there is a small protected beach to the east of the port. 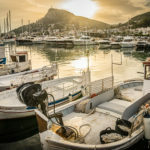 In addition, the superb marina with its chic restaurants, its cafes and its stylish piano-bars surrounding the fleet of busy local fishing boats, is the perfect place for an evening stroll or a romantic dinner to watch the sunset. This is a captivating place, very well maintained, which you absolutely must visit! Stop dreaming!!! Make your dream reality! Imagen yourself on this magnificent island? Riding on a camel through the amazing dunes of Maspalomas, relaxing on a boat with a nice breeze through your hair and spotting dolphins or climbing the amazing rock nublo. 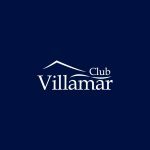 There is no easier and better way to explore all these great places then from your own holiday home or villa from Club Villamar. Relax and enjoy the sun, the rest, the swimming pool and the privacy at your villa or take one step outside and explore the amazing island of Gran Canaria! Would you like to read more about this magnificent island? 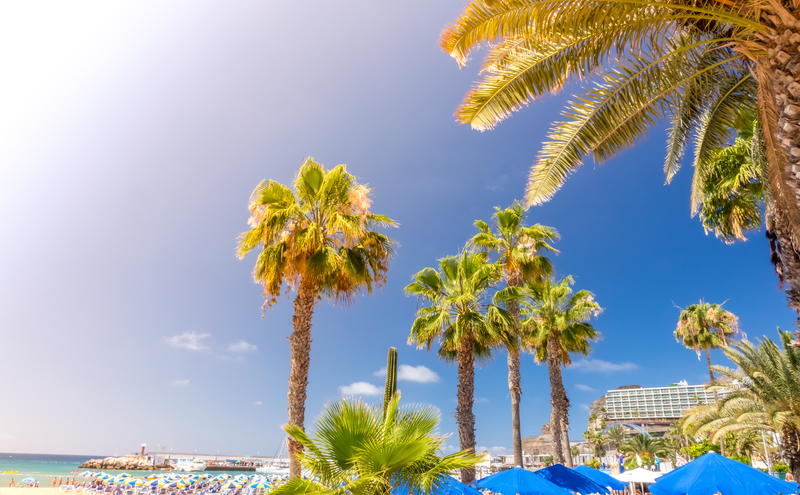 Read everything there is to know about Gran Canaria. With one click your dream comes reality! 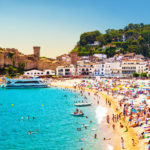 Of course Spain has many more fabulous places, costas and islands! Curious about other TOP 10s? You can read all the TOP 10s here!